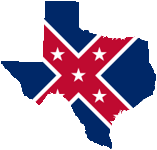 Membership in the Military Order of the Stars & Bars is limited to male descendants, either lineal or collateral, of the officers who served honorably in the Army, Navy and other commands of the Confederate States of America and male descendants of the elected and appointed civilian officials of the Confederate States; the national Confederate Government; and the Five Civilized Tribes which allied with the Confederacy. Females who are interested are in luck! Now the Daughters of CSA Officers Corps has formed. Please see their web site or their FaceBook page for more information.